Because of recent political developments in Armenia, the fifth anniversary of the deadly clashes that took place in Yerevan when Levon Petrosian's gang of criminals attempted a coup d'etat on March 1, 2008 holds special meaning today. As it was five years ago, the political opposition in Armenia is yet again refusing to admit defeat. As it was five years ago, Armenia's self-destructive peasantry are yet again going to the streets demanding regime change. As it was five years ago, tensions in Yerevan are yet again very high. Although we still see some of Levon's predatory creatures like Nikol Pashinyan howling on public podiums, this time, however, the baton of regime change has been entrusted to a Washington-backed lemming known as Raffi Hovannisian. With Levon having become a political corpse in recent years, it's now Raffi's turn to lead Armenia down the path of instability and unrest. It should be pointed out, however, that unlike Levon's thugs, Raffi's followers do not seem dangerous. Nevertheless, when Raffi Hovannisian initiated his weight loss program two years ago, staffers at Washington-funded propaganda outlets began praising him as if he was Christ's second coming. Interestingly, that is also when the same began asking if Levon Petrosian had become a "spent force". Glorifying Raffi and marginalizing Levon meant that the West had set its sights on a new darling it wanted to groom. In my opinion, Levon was more-or-less asking Western officials to stick with him. However, having recognized Levon's growing ineffectiveness in influencing Armenia's political discourse, Western officials would be uninterested. As such, two years ago Washington began placing its hope on one of its longest serving operatives in Armenia. It was Raffi's turn now to lead Armenia's disgruntled peasantry. Similar to what Levon attempted five years ago, by not accepting defeat and taking to the streets, Raffi's camp today is trying to prepare their field of play for the next five years. Like his predecessor, Raffi has announced himself to be the "president elect" and has gathered several thousand idiots around him to prove it to the world. What they are doing in essence is trying to set the stage for another five years of infighting, division, tension and heartache for the fledgling and embattled nation. In another words, they are trying to give us another five years of negativity, pessimism and destructive criticism that will drive even more people out of the country. Moreover, I personally believe that those who ordered presidential candidate Paruyr Hayrkian's assassination (universally seen as an attempt to sow unrest ahead of the election) are the same ones behind Raffi's movement today. The assassination was meant to cause unrest, that which Raffi's movement would later be expected to exploit. Fortunately, it did not go fully according to their plan. Although I do not expect anything serious to come out of Raffi's latest public relations stunt, because as I said, his followers are not similar in character to Levon's thugs, I have to mention here that if his movement somehow goes too far and things begin to spiral out of control, I would like to see the repeat of what occurred on the night of March 1, 2008. Armenia's political stability must be preserved at all costs. However, as much as I would like to see some heads roll, I recognize that peace and stability is something that Armenia desperately needs today. Therefore, I hope Raffi does not take us down the path we were on five years ago. More importantly, I hope foreign interests do not try to sabotage Raffi's movement by instigating clashes between his protesters and law enforcement bodies. Nevertheless, all this underscores the sad state of Armenian politics today. Treasonous criminals like Levon and worthless Washingtonian operatives like Raffi reveal just how decrepit Armenia's political opposition has been. Anyone that believes Raffi - or any other political figure for that matter - can turn Armenia into a democratic wonderland simply by ousting the incumbent leadership needs to go and get their heads examined. I reiterate: If the current system of government in Armenia collapses, those standing ready on the political sidelines to take control of the situation would prove disastrous to the fledgling state. Any form of regime change in Armenia today can prove suicidal. Armenia CANNOT survive such types of political adventurism. Moreover, with the world on the verge of a third world war, this is not the time for Diasporan experiments in the homeland. Therefore, it is best we stick with the devil we know. In light of the fact that there exists NO ONE within Armenia's political opposition that we can trust Armenia's vulnerable control panel, we must be mature enough to realize that we need to figure out an effective way to work with the incumbent leadership. In other words, instead of trying to foment political unrest with the hopes of ousting the incumbent leadership every five years, we need to engage President Sargsyan's government and seek ways to bring about change from WITHIN. At the end of the day, Armenians must be mature enough to realize that "democracy" or "Western values" will not remedy any of Armenia's many problems. Armenians must be mature enough to realize that Western institutions do not have Armenia's best interests at heart. Armenians must also be mature enough to realize that President Serj Sargsyan's administration today is the lesser of all the evils that currently exists in the country. Armenians who are truly concerned about Armenia's development, must do their best to stop engaging in destructive criticism and they must begin seeking ways to work with the incumbent leadership. More importantly, Armenians need to suspect any organization and/or individual with Western ties. To better understand what has been happening in Armenia for the past five years and to better understand what is happening in Armenia today, we need to better understand what happened five years ago when significant numbers of Armenia's self-destructive peasantry rose to their feet and began ransacking their capitol city in the name of thugs and criminals that had once already raped and pillaged the country during the 1990s. The following are some of my thoughts concerning what happened back in 2008. Looking back at how close our fledgling nation came to suffering a major political setback five years ago as a result of our people's political immaturity and irrationality continues to be deeply disturbing for me. Watching a significant portion of Armenia's citizenry being led in the streets by traitors and criminals was particularly troubling experience for me. What I observed back in late 2007 and early 2008 may have forever changed my view of Armenians. I had a very rude awakening at the time to Armenian nature. It was also around that time when I began using the term "self-destructive peasantry" when referring to Armenia's political opposition and its followers. I have come to believe that Armenians are Armenia's biggest impediment. As it was throughout Armenia's history, the Armenian today is Armenia's most serious obstacle. As I have pointed out on many previous occasions, clannish behavior, folk culture, massive egos and overpowering emotions lie behind the Armenian inability to properly see and assess political developments. Every time we see Levonakans take to the streets and demand regime change; every time we see Washingtonian operatives like Raffi being given a public platform to disseminate a Western agenda in the impressionable republic; every time we see hysterical behavior in the diaspora about "corruption", "Russian control", "protocols" or "Yerevan's stinky toilets", we should remind ourselves that we Armenians may excel in business, we may excel in the sciences, we may excel in sports, we may excel in academia and we may excel in the arts - but when it comes to political affairs, we Armenians excel at acting like bunch of idiots. What occurred five years ago convinced me that the Armenian people as a collective body are not ready (and will probably not be ready for a long time) to govern themselves without the serious risk of national suicide or self-destruction. Let the powerful and wealthy nations of this world flirt with democracy, we Armenians simply can't afford such risks. There are Armenians today that still maintain the belief that what occurred in Yerevan several years ago was not a coup d'etat attempt but a "spontaneous reaction" of the people to the disputed presidential election at the time. There are Armenians today that continue to maintain the belief that the violent protesters were are not to be blamed for the destruction of public and private property and the spilling of blood; explaining that the citizenry was basically venting its justified frustrations against government corruption and injustice. There are Armenians today that maintain the belief that the authorities were wrong in their decision to use deadly force against the rioting protesters. Moreover, many Armenians today in and out of the homeland continue to call for Serj Sargsyan's ouster, and in some cases, for his death. That the people were unhappy with President Robert Kocharyan's administration at the time, I understand; even though the people's living standard in Armenia had improved greatly since Levon's days. When Serj Sargsyan got elected as president for the first time, it was also understandable that significant numbers of people would likewise be unhappy with him. What I don't understand, however, is this: Why did the people attempt to replace Sargsyan's government with a gang of treasonous criminals that had already once raped and pillaged the country during the 1990s? Why did a significant portion of our nation's citizenry act this screwed-up, this irresponsible and this destructive? Why do so many Armenians hate President Serj Sargsyan so much? Why don't Armenians realize that virtually everything we hate about Armenia today has their origins in Levon Petrosian's rule. Why do Armenians take it out on Serj Sargsyan? How can anybody make excuses for supporting Levon Petrosian? If the prevailing political culture in Armenia is an accurate depiction of our people's political potential or maturity, then I can emphatically state that we as a people do not deserve an independent nation. If this was how our people will react against its leadership, against its military, against its church, against its police, against its community... like I have said before, I much rather we give the house keys to Moscow and have them run the show for us again. If you are amongst those who did not see a dangerous coup attempt in Yerevan back in 2008, or if you are one to make excuses for the looting and destruction rioters brought upon Yerevan, I advise you to take into close consideration the information that appeared in the international press at the time. I have posted some of the more relevant reports that caught my attention following this commentary. There are many clear indicators that what occurred in late 2007 and early 2008 was a premeditated plan by Levon political camp to topple the entrenched government in Yerevan by force. There were also some indicators that what occurred may have also been a color revolution. What occurred at the time was not merely a spontaneous reaction by the people. The sheeple in question were essentially lead by hungry wolves in sheep's clothing. Interestingly, LA was one of the organizational centers of the movement. Many of you may recall how well coordinated and organized the anti-Serj Sargsyan demonstrations were in LA at the time. As a matter of fact, various activists from LA were traveling to Armenia to organize the uprising up to a year before the presidential election. Taking into consideration the large amount of subhuman-filth that resides in LA, this should not surprise any of us. But the most surreal aspect of watching LA Armenians support a treasonous criminal like Levon Petrosian was the curious fact that a significant number of them (if not most) had fled or abandoned their homeland during the Levon Petrosian years. Oligarch Khachatur "Grzo" Sukiasyan with ties to LA was one of the well known financial sponsors of Levon Petrosian's bid to return to power. According to some reports at the time, George Soros, the infamous mastermind of various revolutions across Eurasia, may have also had a hand in what occurred. Moreover, Washington funded propaganda outlets such as Radio Liberty, ArmeniaNow, EurasiaNet, A1 Plus and Hetq to name only a few, were inciting violence against the Armenian state and against Armenians from Artsakh by disseminating inflammatory news reports and provocative political commentaries during the months leading up to the presidential elections. Their well coordinated media assault on the authorities got particularly alarming following the announcement that Serj Sargsyan had won the presidential elections. Reading commentaries being posted by people within Washington-funded "independent" news press in Armenia, I was appalled by the bloodthirsty rhetoric I was seeing against the authorities and against "Tatar/Mongol" Armenians from Artsakh. In the particular case of opposition media outlet A1 Plus, a full night before the counting of the votes were completed, I recall reading a statement on their official website claiming that Levon Petrosian had won the election by a wide margin. What was happening? As a media outlet tasked with reporting on the presidential election at the time, how/where did A1 Plus obtain its information about the voting results - before anybody else? Looking at it in hindsight, A1 Plus, along with all the other participants of the organized coup, was clearly involved in preparing Levon Petrosian's battlefield by disseminating false information. Thus, according to coup organizers, the following was the scenario at hand: The reformist candidate, Levon Petrosian, had won the presidential elections in a landslide; Serj Sargsyan, the utterly corrupt official, had stolen the election by resorting to vote rigging and intimidation. As a result, according to coup organizers, the oppressed people of Armenia needed to rise in rebellion. 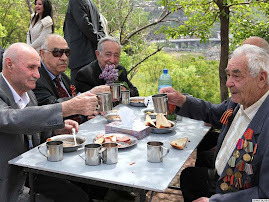 In a move that also gave the attempted coup somewhat of a military flavor, general/choban Manvel Grigoryan and some other "Yekrapah" veterans/chobans were said to have been contacted by the Levon's camp before and during the organized demonstrations. Perhaps feeling emboldened by their contact with general/choban Manvel and members within the Yekrapah union, Levon's camp had mentioned at some point during the demonstrations that the nation's military was on their side. However, general/choban Manvel seems to have hesitated when he was taken in for "questioning" by the authorities. 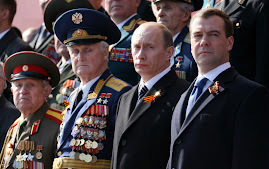 When the coup did not garner enough public support and the Moscow-backed authorities in Yerevan proved able to maintain their discipline and cohesion, military men like general/choban Manvel proved smart enough to keep their hands clean of the mess. Finally, the violent way in which the protesters and their organizers such as Nikol Pashinyan were behaving leading up to the final clash on March 1, 2008 was also a clear indicator that Levon Petrosian's camp had much more than just "protesting" on their minds. I don't want to discuss the Armenian police raid on the illegally erected camp during early morning of March 1 where some protesters were reported to have gotten roughed up and where some weapons and narcotics were supposedly confiscated by law enforcement officials. Reports about narcotics and weapons may or may not have been true. Regardless of what happened during the morning police raid on the makeshift camp, by early afternoon on the same day, demonstration leaders such as Nikol Pashinyan were preparing thousands of their sheeple for violence against the state. And this was also about the time when the Azeri military began to carryout a major attack against Armenian defense lines in Artsakh to test the government's cohesion during the political crisis in Yerevan. The Azeri attack was successfully repulsed, but the Armenian side reportedly suffered some deaths. I vividly remember animals in the Levon Petrosian's camp at the time shamelessly saying that the authorities in Artsakh had "provoked" the attack by Baku to discredit Levon. I also vividly remember seeing Levon's thugs calling for the murder of "Tatar/Mongol" Armenians from Artsakh on various social media forums. The movement had clearly taken on an anti-Artsakh tone. Was is it all a provocation organized by foreign intelligence services - or is a significant portion of our people this destructive, this ignorant or this disgusting? I believe it is the combination of the two. In my opinion, any self-respecting government, especially a government that has Western and Turkish intelligence working against it; especially a government with crucially important strategic ties with Moscow; especially a government that feels besieged by its dangerous neighbors in a very volatile region on earth; especially a government that was witnessing organized rioters attacking the police, destroying property and engaging in theft, would have and should have reacted with deadly force - especially considering who it was that was trying to come back to power. Thankfully, having recognized what was taking place in Yerevan, Moscow seemed to have given the Armenian authorities the green light to do whatever it took to put down the uprising. With the volatile situation spiraling fast out of control on the night of March 1, 2008, authorities finally decided to crackdown. Sadly, during the night, some ten individuals lost their lives; a policemen, a soldier and eight protesters. However, the only thing I regret about what the government did on that evening was that they didn't crackdown on the uprising fast enough or hard enough, and I regret that the coup organizers were not included in the final death tally. Where are the Levons of America? Since Armenians today have the stupid habit of comparing the tiny, poor, blockaded, remote, embattled and fledgling nation in the violent Caucasus with a great global empire like the United States, I feel obligated to say the following. Had Americans dared to attempt in the United States what Levon and his thugs tried to do in Armenia back in 2008, they would have been mercilessly crushed for being "domestic terrorists" by law enforcement authorities. Despite the widespread corruption throughout Washington, can anyone in their right minds imagine a politician in America being allowed to organize a massive coup in the center of Washington? There are tens of millions of disgruntled Americans today that are probably more pissed-off at their government than Armenians are at theirs. But can anyone imagine a corrupt former official encouraging America's poor and disgruntled (tens of millions and growing in number) to ransack Washington? Can anyone imagine what Washington's reaction would have been if a massive number of violent protesters in the US posed an urgent political threat to the nation's entrenched political/financial system? Don't waste your time trying to figure out what Washington would do in such a case... it would be an absolute bloodbath. We apparently have not learned anything about politics by observing how real politics is played out in the West. In the West, the entrenched elite (Western oligarchs if I may) will cordially allow the sheeple to protest AS LONG AS they are not able to change anything, or pose a real threat to them. Anyone recall the massive protests of 2003 against Washington's illegal invasion of Iraq that drew out millions of protesters across the United States and Europe? What changed? Nothing. Anyone recall the recent Occupy movements that sought social justice and an end to corruption on Wall Street and Washington? What changed? Nothing. In fact, does anyone recall just how ruthlessly Occupy movements were crushed? What has America's "elected" officials done to meet these demands of their constituents? Nothing! The reality is that when it comes to serious political matters in the Western world, the "people's" opinion or demands are actually the last thing on politician's minds. Why do I keep referring to the US in these types of discussions? Primarily because most of Armenia's political activists trying to topple the regime in Armenia today either hail from the US or are funded by American money, and also because America is presented by Armenia's political opposition as a role model that Armenia needs to imitate. The strange irony here is that if Armenia truly became like the US, a genuine political opposition wouldn't be able to exist in the country. Compared to the United States, where Democrat and Republican parties are merely two branches of the same political/financial elite and all of the nation's mainstream news agencies are in the hands of several individuals with close connections to the government - Armenia is in fact a much freer nation! I honestly think that Armenia today has more than enough political freedoms because Armenians have proven beyond any doubt that they do not understand what political freedom means; thus proving that they cannot be trusted to make the right political choices. I'd like to remind the reader that Washington's favorite export known as "freedom and democracy" (which often times is delivered by its armed forces) are dangerous things for young and/or troubled nations. If freedom and democracy were such a good thing, Washington would not have been targeting their enemies with it for all these years. As a life long advocate of top heavy, patriotic governments (e.g. national socialism, and constitutional monarchy), I would fully support banning individuals like Levon Petrosian and Raffi Hovannisian from Armenia; I would fully support shutting down any news agency or NGO in Armenia that is funded from abroad; and I would fully support placing any individual that maintains any ties with Western institutions under surveillance by national security services. Although it may not be saying much, but President Serj Sargsyan has proven to be by-far the most capable president Armenia has yet had. Despite the prevailing global economic crisis, Armenia's national infrastructure continues to develop. Despite the continuing volatility of the Caucasus, law and order has finally descended upon the republic. Despite all its regional enemies, Armenia's and Artsakh's borders have never been more secure. Despite Western interferences, Armenia's strategic partnership with Moscow has never been more fruitful and its relationship with Iran never been more friendly. And despite what our self-destructive peasantry thinks, Armenia's top leadership has never been more professional. Although a lot of the filth that rose to prominence during Levon Petrosian's years in power continue to have significant representation inside the Armenian government, a gradual cleansing (which I liken to a high-colonic) has already begun by President Sargsyan's administration. The 1990s era chobans-in-Armani-suits-and-Mercedes-Benzes will gradually be replaced by well educated technocrats. Due to Armenian nature, however, this process will take some time. Nevertheless, Yerevan's strategic alliance with Moscow will eventually create many new opportunities for Armenia. One of those great opportunities is membership within the Moscow-led Eurasian Union. Better trade relation with the Russian Federation (Armenia's largest and most natural export market) and other former Soviet republics will naturally lessen the importance of Armenia's border with Turkey. I can confidently say today that due to Yerevan's strategic alliance with Moscow, an independent Armenia has not enjoyed a political significance this great in well over one thousand years. 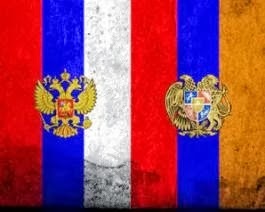 Once Moscow manages to bring peace and stability to the south Caucasus, the future for Armenia looks very good. For Armenia to truly progress in the 21st century, Armenian politicians and businessmen will need to change the culture of conducting business in the country. Due to Armenian nature (genetic traits and cultural values), Armenia's current political system, its business culture and its social structures are somewhat feudal/backward in nature and character and not one person can change this. Since it's unrealistic to place hope on Armenians changing their global outlooks en-mass in the near future, I instead place hope on the emergence of a nationalistic strongman in Armenia like Vladimir Putin. At the end of the day, serious reform in Armenia can only come about when an authoritarian leader emerges and crushes the powerful clans in the republic and transfers their illegally acquired wealth into government coffers. As much as I like him, President Sargsyan is unfortunately not that man. To a significant extent, President Sargsyan is dependent on Armenia's chobans-turned-wealthy-businessmen for his political survival. This situation speaks more about the Armenian nation than about Serj Sargsyan. Similar to the political culture in modern Italy, anyone that will become president in Armenia will inevitably fall under mafia influence simply because the country is rife with them. A little example of what I'm saying: I know from inside sources that "Chorny Rubo", the gangland mayor that was removed from office two years ago, was given another position in government simply because he could deliver X number of votes to the incumbent president. In other words, filth like Chorny Gago has a significant following. Now, take all the 1990s era human-garbage that became powerful and factor in the number of votes/support/money they can bring to the table and you have the making of a modern Armenian president. Armenians presidents today, similar to Armenian kings in ancient times, don't have much power. The real power in the country, like in ancient times, rests with its wealthy families, the modern version of Armenia's ancient nakharars. Other than going on a massive killing spree throughout the country and risking serious internal strife, anyone that becomes president in Armenia today via its domestic political process (regardless of who he, she or it is) will have to deal with the nation's powerful clans. The best alternative to this undesirable situation is to have a patriotic strongman takeover the reigns of power. Another good alternative is for someone like Vladimir Putin to impose someone like Karen Karapetyan for the Armenian presidency. Nevertheless, Armenia seriously needs a thorough housecleaning. What Armenia needs more than "democracy" or "western values" is a leader progressive enough to allow the people room for cultural and economic growth yet powerful enough to ruthlessly crush the powerful clans and their followers in the country. In this regard, Armenia needs to look north for inspiration. Besides, after all is said and done, in final analysis, there is the big geopolitical equation we must learn to address. Let's face it, in the big picture, the Armenian state exists today in the volatile south Caucasus not because of the prowess of Armenians in Armenia, not because of Western benevolence and definitely not because of the big talking diaspora. Armenia exists today because of it's close alliance with Russia. It's that simple folks. Thus, when on numerous occasions back in 2008 and more recently Moscow was signaling it was standing fully behind Serj Sargsyan - the entire Armenian nation, including Armenia's opposition freaks should have paid close attention. 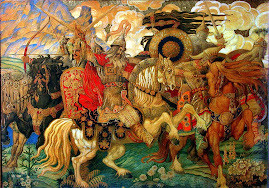 At the end of the day, Russia is the alpha and the omega of the south Caucasus. Whether our nation's Russophobes like it or not, Yerevan's political formulations will have to jive with that of Moscow's for the foreseeable future. Instead of bitterly complaining about this inescapable reality of Armenia's existence, Armenians should instead be seeking ways of fully exploiting their unique relationship with the northern Bear. The following are a collection of very interesting (and in my opinion very important) articles that have caught my attention. They are mostly from the late 2007 and early 2008. The sources of the articles are Armenian, Russian, American and Kurdish. For a thorough understanding of the events that took place five years ago, I ask you to read them all. Moreover, at the bottom of this page I have also included three articles about three different public opinion surveys carried out before the presidential elections more than five years ago. Similar to recent polling results, the polling carried out in 2007/2008 had painted a very interesting picture, a picture that opposition freaks in Armenia at the time - as well as today - would rather have us forget. Armenian history is said to be 12,000 years old, and Mt. Ararat is the historic scene where Noah‘s Ark is said to have rested, a revered and treasured Armenian landmark. An archeologist’s dream come true, Armenia is a land of quaint churches and elaborately and meticulously carved khatchkars (Orthodox crosses). 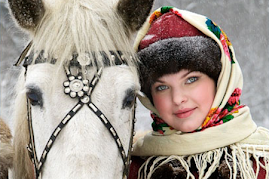 Constant and reliable, the centuries old friendship and alliance with Russia is unshakable. 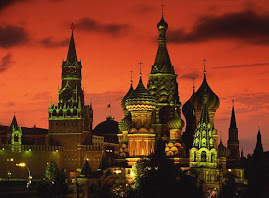 Most Armenians are aware of the fact that there probably would be no Armenia if not for Russia. No plots or schemes by the empire are going to change that reality. The empire also wins no friends among Armenians for its consistent policy of Genocide denial. These policies go beyond the geo-political considerations given as an excuse, such as the US base in occupied Western Armenia, under control of Turkey and their alliances with Armenian enemies Turkey, Israel and Azerbaijan. And then there are the oil pipelines…constructed to bypass Armenia, a country in a strategic position between east and west, a crossroads as it were. As a result of the Armenian Genocide of 1894-1923, Armenians lost most of their homeland and over 1.5 million Armenians were murdered in the most horrendous and brutal fashion imaginable and unimaginable. To this day, no Nuremberg trials, no compensation or apology have occurred. Therefore, the memory of this tragedy in an ongoing issue of importance to Armenians. On Public Armenian Television, Armenian Parliament Speaker Tigran Torosian told the following of his knowledge of events: “These people decided who the winner is five minutes after the election. This is their characteristic feature. I learned about my alleged resignation from journalists. Levon Ter-Petrosian and his team-mates have exhausted the sources of lies which exceed all possible borders,” the speaker said. “They spread lies about all and offense all those who are not with them. They are filled with hatred and revenge,” he said. "OK, let's say all the grenades, pistols and automatics were planted by the regime, what do you have to say about all those hooligans with rods and sticks, beating the police, throwing bricks and stones, burning cars including busses and an ambulance, looting shops and supermarkets?" According to various local reports, 8 persons were killed in orange demonstrations as the Army was called in to restore the peace. 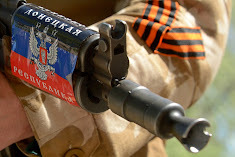 They also report that Opera and Republican Square are swarming with army troops and military police armed to the teeth with AK-47s, belt-fed battle rifles and there are dozens of light tanks in both locations. In addition to that, there are troops scattered in posts all over the city and on all the roads into the city. One hundred and thirty-one persons were reported injured in the March 1 disturbances. An on the scene observer sent this report: "Hi, this morning I walked from the Opera House until Mashtoz Underpass. Everything was just fine. Police closed the underpass toward city hall and near the French embassy where they made a mess. My friend 8:30 at night went everywhere with the exception of closed areas and found calm...all shops are open and traffic is normal, 8 people got killed and about 30 people got arrested for looting, all young guys." Interior troops and police officers suffered bullet wounds and injuries in the March 1 clashes with rioters in Yerevan. On his visit to the hospital, President Kocharian was accompanied by police chief Hayk Harutyunian and other officials. Kocharian went from one hospital ward to another and spoke to officers and servicemen. Hospital chief, Arthur Petrosian, said they admitted 33 wounded officers and servicemen on March 1 until 8.30 pm and 27 others after 9 pm. He said 11 received bullet wounds, eight were hospitalized with heavy symptoms of gas poisoning, 2 received knife wounds. Seven servicemen went to their quarters after receiving first aid and 11 others were operated on. The chief of the hospital said their condition is satisfactory now. Secretary General of the Council of Europe, Terry Davis said, “The state of emergency suspends the application of several rights and freedoms protected by the European Convention on Human Rights. Under Article 15 of the Convention the Armenian Government must inform me of the measures which it has taken and the reasons therefore. 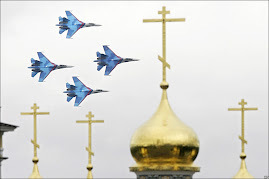 I expect that they will do so without any delay,” the Council of Europe press division reports. The recent presidential elections in Armenia saw Serzh Sarksyan, Kocharian’s number two man, elected as President of Armenia. The voting result was unmistakable: Serzh Sarkisyan - 862,369 (52,82%) votes, Levon Ter-Petrosian – 351,222 (21,5%).votes. The February 19th presidential elections were not only characterized as `free and fair' by the CIS observers, but also received the positive assessments of the Western observation missions. The observation mission of the OSCE Parliamentary Assembly, which stands out in terms of its strict and meticulous attitude towards the electoral processes held in former USSR territories, clearly recorded that, `The presidential elections held in Armenia on February 19 were mostly in line with the commitments to the OSCE and the Council of Europe.” But this didn’t satisfy the orange agitators. Kocharian, throughout his term as President, has had a warm, brotherly relationship with his counterpart in Russia, Vladimir Putin. Like the outgoing president, Robert Kocharian, Mr. Sarkisyan is from Artsakh (Nagorno-Karabakh). Both men were commanders in the war. I wanted to bring this recent event in Armenia to your attention. Please note that the exact event occurred back in March, BUT the struggle in Armenia against these Zionist forces is still continuing today, and politically, the country is still destabilized due to the constant opposition rallies and misinformation that they are spreading through the media (funded by George Soros of course! ), which still posses a threat to Armenia's political stability. The reason why I am mentioning Armenia’s failed 'colored revolution' is because after the collapse of the Soviet Union, the Zionists have been overthrowing the governments of the newly independent Soviet republics, and so far, Georgia’s ‘Rose Revolution,’ Kyrgyzstan's ‘Tulip Revolution,’ Ukraine's ‘Orange Revolution,’ and the Serbian revolution have all been a success. Armenia was the only country in the post-Soviet bloc, which fought against these Zionist funded forces, and managed to crash the Western revolution within hours, although nine people were killed as a result of clashes between the police and the opposition forces. Before you read the article, I wanted to inform you that Levon Ter-Petrossian (the Soros agent) was the first president of Armenia after its independence in 1991 from the SU, but he was ousted from office during his 2nd term (which he rigged big time! ), and all of a sudden, last year he decided to come back into politics in Armenia after nearly 10 years of disappearance. In addition, his wife is Jewish (born in St. Petersburg, Russia) and it is widely known in Armenia that she was and still is active in the higher Jewish/Zionist circles of Russia who obviously have enough ties with the Western Zionists. The fact that the Zionist circles in Russia hooked her up with Levon Ter-Petrossian decades ago while Levon Ter-petrossian was working on his PhD in St. Petersburg seems hardly a coincidence, since it is known that the Zionist circles always took for potential leaders (or similar) men among the Goyim whom they later help to advance in a given country. The whole thing was very well organized now that we look back, since Levon was very good at bringing Armenia to its knees after he took office in 1991, which resulted in a very LARGE number of migrants out of the country due to the economic hardships. I am proud to say that after so many successful provocations by the Zionists in the Post Soviet bloc, the smallest country of them all, Armenia, was able to kick some major Soros/Zionist butts by crushing the opposition within hours! One important thing that I wanted to mention, which will help you better understand the situation and why Armenia was targeted by George Soros, is that since its independence, Armenia has been a very close ally of Russia, and today it is the only ally of Russia in the Caucasus region. 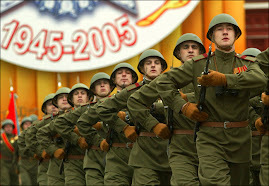 Armenia also has Russian troops stationed within its borders for more than a decade. Now you have the background story, so please do the reading in order to know that the Zionist do not always target the big countries! In all civilized countries people see elections as an opportunity to improve their lives, to build a stronger state and improve security. Similar attitudes prevail in Armenia today because the outcome of the forthcoming parliamentary elections will largely determine changes in government and society, prospects for settling the Karabakh crisis, and success of the efforts to overcome the consequences of the Armenian genocide. These are major regional and international issues. But ordinary Armenians have more faith in real power than promises. It is no accident that the public preferences are with the parties of power - the Republicans and the newly-established Prosperous Armenia Party (PAP). The opposition parties are obviously weak. The PAP was set up with the support of the current administration and is headed by local oligarch Gagik Tsarukian. In the forthcoming presidential elections, he is unlikely to put up a serious fight against the only favorite Serzh Sarkisian. Even the name of Prosperous Armenia sounds more like a declaration. In effect, its leader is a man whose business has prospered largely due to the benevolent attitude of the current authorities. The Armenian Revolutionary Federation deserves special mention. This party has made a great contribution to the success of the Karabakh movement; it is widely respected by the numerous Armenians who live outside the CIS, and has been trying to restore its positions in Russia and other former Soviet republics. It looks like this party will receive about 10% of the votes and have a voice in parliament. It will probably support the Republican presidential nominee Serzh Sarkisian, and a Russia-oriented strategy. 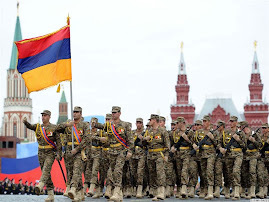 The prospects of Russian-Armenian strategic partnership are rather bleak since the modern geopolitical alignment of forces in the Caucasus does not favor Armenia and Russia. The U.S., Europe and Turkey are confidently paving the way for NATO into Central Asia through Georgia and Azerbaijan. The West has been closely watching the Caspian oil-and-gas projects and construction of the Baku-Tbilisi-Ceyhan and Baku-Tbilisi-Erzurum pipelines, railways and highways bypassing Armenia, and may decide to stage a major geopolitical experiment in the region. The United States and its allies want to stay in the region in the long term not only because the Caspian is rich in energy and Central Asia in strategic raw materials but also to gain control of the most important territories and communications, exert pressure on the oil-bearing Iran and eradicate Russia's traditional influence there. Regrettably, Orthodox Georgia is turning into a vehicle of implementing Western strategy and geopolitics in the Caucasus and Central Asia. Hence, fighting for Armenia will determine who controls the South Caucasus, and can exert certain influence on Asia Minor. For this reason, the West and Russia are equally interested in Robert Kocharian's successor. For us the best choice will be Serzh Sarkisian, defense minister and secretary of the Armenian Security Council. As a government official, he has climbed the career ladder starting from the bottom, and held key positions in security-related bodies of Nagorny Karabakh and Armenia. He knows the domestic situation well and has built a good working relationship with his Russian colleagues. All these factors should contribute to the consolidation of strategic partnership. There is no united opposition in Armenia, which does not mean that the presidential elections will be uneventful. The Western favorite is Vardan Oskanian, who has been Armenia's foreign minister during all these years. In order to promote their strategic partnership Russia and Armenia should look for new opportunities to expand trade and economic relations, and military-technical and cultural cooperation. Armenia requires additional security guarantees in the event of an armed provocation in the Karabakh conflict area. In turn, Armenia should have a clear-cut concept of national security. Russia, on the other hand, must clearly see the framework of a common security system in the region in general, and in Armenia, in particular. The inter-government commission on economic cooperation between Russia and Armenia should probably step up its activities. It could include reputable representatives of civil institutions from both sides. Russian companies have bought Armenian energy facilities, and are not enthusiastic about investing in the local economy, especially in small and medium-sized businesses. By comparison, in the period between 1992 and 2001,Turkey set up 1,327 businesses of different status on the territory of its main South Caucasian partner, Azerbaijan. 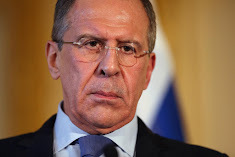 Armenian society is hoping that the visit of Russian Foreign Minister Sergei Lavrov will contribute to the promotion of bilateral ties. Yerevan understands that the present and future of Russian-Armenian relations largely determine political stability in the South Caucasus. Despite intensive activities of NATO and the European Union in the region, Armenia continues to be Russia's reliable partner. Yerevan is maintaining relations of trust with Russia when it comes to national security, and is trying to avoid problems that may require force majeure solutions. This is my view of Armenian foreign policy. Its positive development largely depends on Russia's position, and on its predictable and resolute action in the region. On February 19, a head of state will be elected in what is for us a friendly and very important country. The elections in Armenia are very similar to those Russia will hold in March. The successor of the current president will run for the top position; he is being opposed by representatives of the former government, and his long standing opponents. As in Russia, the current government's nominee - Prime Minister Serzh Sarkisian - has every chance of success. As in Russia, the popularity of the current government in Armenia rests on economic success. When Robert Kocharian's team came to power ten years ago Armenia was in a desperate position. It had suffered several years of economic dislocation, absence of electricity and heating. Today, Armenia, a country with no energy resources or any other tangible natural resources, has one of the world's most dynamic economies. Its economy grew by 13.6% last year, one of the fastest rates in the world. But statistics as such are of little interest to the voters. What matters for them is how those statistics reflect their well-being. During the past year, average incomes increased by 24.7%, while inflation did not exceed the Russian old dream rate of 6%. Last year's parliamentary elections testified to serious public support for the current government. The ruling Republican Party, led by Sarkisian, together with its ally and rival Prosperous Armenia, headed by Gagik Tsarukian, received more than half of all votes and two thirds of seats in parliament. Now this alliance has shored up its power even further - at the presidential elections Tsarukian will support Sarkisian. This partnership is as hard hitting as that between Vladimir Putin and Dmitry Medvedev in Russia. The latest polls give Sarkisian 47.5% of all votes, which are likely to guarantee his victory in the first round. Today, Yerevan looks like an enormous construction site. The prime minister and his political consultants do not have to ponder over election scenarios - Sarkisian is travelling all around the country, and telling his compatriots about ambitious plans for spreading the gas network, road and house construction, and the eradication of poverty. He does not need a detailed program, and has drafted a short document on the consolidation of statehood and promotion of the principles of justice. Sarkisian cannot be accused of weakness or lack of experience - before heading the government, he served in various positions in security-related ministries, and his name is associated with military victories in Karabakh. Relations with Russia and the West are a big part of the election campaign. It is hard to notice anti-Russian attitudes in Armenia - Russia is associated with hope and support. But the same is true of anti-Western sentiment, which is only natural considering the existence of the influential Armenian Diaspora countries such as the United States and France. Sarkisian has a well-deserved reputation of a pro-Russian politician. 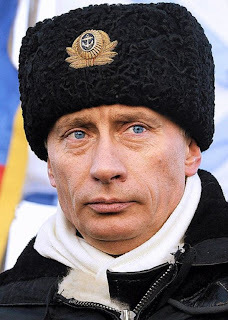 He has known Putin for a long time, since he worked in CIS security-related agencies. But he is quite open to cooperation with the West, which practically eliminates the possibility of a foreign country conducting a large-scale campaign against him, as has sometimes happened in post-Soviet republics. In this position it will be difficult not to win. No opposition candidate stands a chance, unless the government makes the mistake of paying too much attention to them. For the time being, the most prominent rival is the recent Speaker of Parliament and close associate of the current leader Artur Bagdasarian, who the polls put in second place with 13.4% of votes. He has suddenly turned into a vociferously pro-western critic of the regime. An active participant in every recent campaign, the leader of the National Unity Party, Artashes Gegamian, is in fourth place with a rating of 4.7%. Ex-Prime Minister Vazgen Manukian, and the leader of the historical Dashnak Party Vice-Speaker of Parliament Vaan Ovannesian are well known in the country. 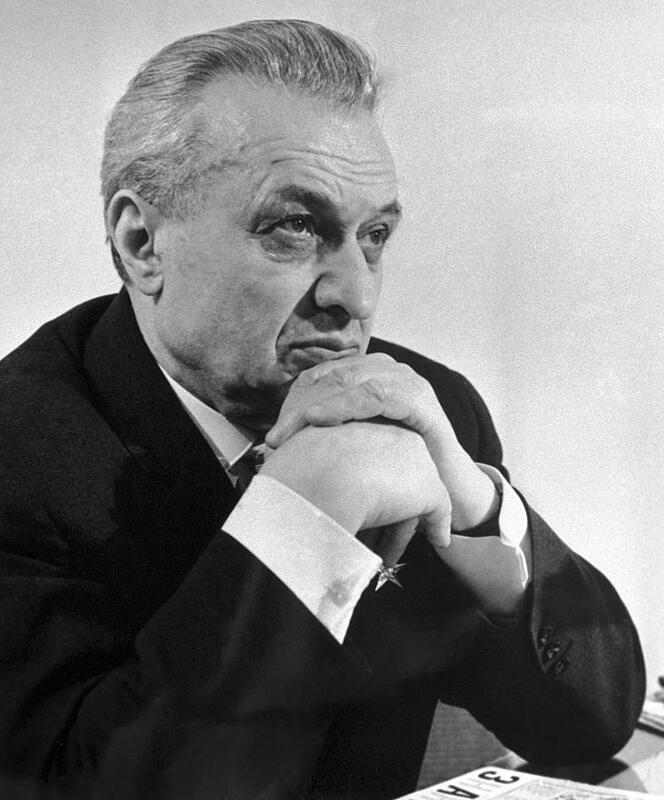 But the biggest sensation was the decision of the first Armenian President Levon Ter-Petrosian to run for the presidency. It has given not quite understandable hope to many opponents of the current government to defeat it. It is comparable to Mikhail Gorbachev running in the election race in Russia (he ran for the presidency in 1996 but with no success). Ter-Petrosian is trying to prove the unprovable - that he was a more successful leader than Kocharian and Sarkisian. But his compatriots have not forgotten the first half of the 1990s. Moreover, Ter-Petrosian had to resign when under Western pressure he displayed readiness to make tangible concessions on Karabakh and relations with Turkey. Such conduct is not forgiven in Armenia. It will be difficult for him to prove his good attitude to Russia. It was he who shut down all the Russian schools in the country. Half of the voters will not support him under any circumstances, and he can hardly hope for more than third place and 7% of votes. Could the consolidation of the opposition change the situation before the elections? It seems unlikely, primarily because none of the opposition leaders is accepted by the others. Ter-Petrosian, who is the loudest in claiming the leadership of the opposition, is also the most resented by the others. Sarkisian's opponents will not form a political alliance. The West is not likely to support an oppositionist, either. Moreover, now that international observers have, with a few reservations, declared the elections in neighboring Georgia quite legitimate, they will find it rather difficult to give the Armenian elections a lower rating for fear of looking ridiculous. Unlike in Georgia, the elections in Armenia are being held according to schedule; TV channels have not been shut down; opposition supporters are not behind bars or in exile, nor under criminal investigation. International monitoring will be very serious - almost 300 observers in 1,923 constituencies. Russia would like to see Armenia a stable and dynamically developing country with a responsible government oriented towards constructive relations with it. Strategically, Sarkisian's nomination suits Moscow, which has given him support at the top level. It would be appropriate to take steps that would demonstrate our readiness to render Armenia substantial economic assistance. Regrettably, the pro-Russian forces in Armenia have been recently weakened by Moscow's decision to increase prices on gas exports. Considering our financial capabilities Russia should list Armenia as a priority recipient of its direct foreign aid. The main thing is not to overdo with the public demonstration of our support. The United States has been giving tangible assistance to Armenia for a long time. Our policymakers should consider the role Armenia could play in building relations with Georgia. For Armenia, which is under transport blockade, transit via Georgia is a lifeline. The more tense Russian-Georgian relations are, the more this lifeline is threatened. A long awaited happening, the interest to which had been fanned for months, took place in Armenia. 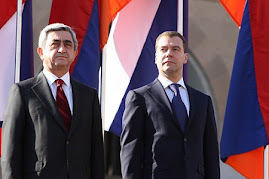 On October 26, 2007 former president Levon Ter-Petrosian, currently an actual leader of Armenian National Movement (ANM), the former ruling party made a 90-minute speech in Theatre Square in Yerevan. Despite quite a few logical discrepancies, pseudo-historic excursions, dubious allusions and populist declarations he declared his intention to run for presidency in February of 2008. Many people attended the meeting, but those who are still sincerely fond of the former president were evidently in the minority. There were many people who were there out of sheer curiosity and those who are always displeased with any acting authority. On the eve of the meeting radical opposition from the pro-Western movement “Alternative” provoked clashes with police, which were immediately taken advantage of for the stirring up the situation, given that usually the authorities do not prevent their opposition from holding meetings, asking them to observe the law and order. Some Armenian media characterise the tactics used by the ex-president and his supporters as the willingness “to aggravate the internal situation, forcing the authorities to make another mistake at any cost.” Unsanctioned meetings, office capture raids and blocking the bodies of state, stirring up of domestic disorder and interference in the work of election commissions can be disguised as “spontaneous” people’s protest. A dramatic rise of foodstuffs prices can stimulate the spreading of rumours about “inevitable” political and socio-economic upheavals. This tactic has been tested many times in the countries where the “colour” coups were organised; in Serbia, Georgia, Ukraine and Kirghizia. An attempt of a coup undertaken by the radical opposition in Yerevan in 2004 (organised, along with others by Aram Sarkisian and Stepan Demirchian, who were seen together with Ter-Petrosian October 26) met with hard but legally correct suppression. Another Western project in the republic was Artur Bagdasarian, who finally discredited himself during the May 2008 parliamentary elections. What are we to expect this time? The tonality of many statements of “the soft intellectual” Ter-Petrosian proves that the new election campaign will be quite acute. Again, as in the late 1980s, when Ter-Petrosian was desperate about gaining power, the wedge of a slogan “Struggle, struggle till the end!” has been forced in. But the fact that the “mafia-type clan regime” is criticised by none other than the genuine architect of this regime, is amusing. Ter-Petrosian’s call for bringing order to the nation looks especially mocking, given that the destruction of Armenia’s economy and key elements of its infrastructure (except for, maybe, the young national army) during his stint was systemic and targeted. The rampage of arbitrariness was written off as inevitable aftermath of hostilities and Azerbaijanian blockade, which in particular were to deepen the “anti-Karabakhs” sentiment in the Armenian society. 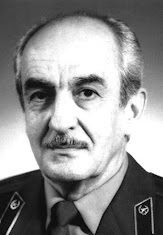 The 1996 presidential elections were openly falsified to give the victory to Ter-Petrosian; opposition was suppressed never stopping of using tanks. In 1997, when the set off between Ter-Petrosian on the one hand and other members of the political and military establishment on the other became evident, it was exactly the presidential side that resorted to a political combination aimed at the removal of the president’s opponents from the bodies of power. Attempts to provoke a political crisis by way of a series of acts of terror leading the way to a dismissal of prime-minister (Robert Kocharian) or the Minister of Interior and Security (Serge Sarkisian) met with the hard public opposition of Defence Minister Vazgen Sarkisian. There were many other facts of this kind. The real cause of the crisis were rampant theft, total irresponsibility and the lack of experience of running the state of the ANM activists. 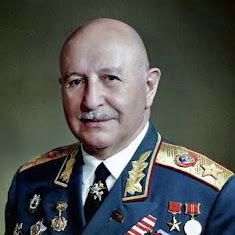 The situation in the republic was precisely characterised by the statement of the former interior Minister Vano Siradegian in one of his interviews when he called the then prime-minister Grant Bagratian, the follower of Yegor Gaidar, “a madman”, who was running the national economy. In turn, Siradegian was accused of organising a series of contract killings, and is now hiding somewhere outside of Armenia. Robert Kocharian must be right thinking the Armenians do not wish to see a comeback of things of the past. During his stay in Megri, Kocharian made first evaluation of his predecessor’s intentions to return to power. He observed that Levon Ter-Petrosian was not a principal candidate for presidency, so he would hardly be in the focus of public attention. Recalling the sad results of the ANM parliamentary campaign he added:”Seeing that the national economy has been restored, ANM again decided the time came to rob. With their mouths watered, they decided to lean on the resource of the former president8. Certain groups in Armenia (a rather small country where informal relations and kinship play an important role) and influential players abroad (also a significant factor) are undoubtedly interested in the “advancement” of Ter-Petrosian. There is no one questioning the importance of combating corruption, protection of human rights and the rights of a citizen, unless that becomes a pretext for interference in internal affairs of another state, a total or partial liquidation of its sovereignty and the formation of a state power system managed from outside. The current Armenian leadership can be assessed differently. It has not yet solved many acute socio-economic problems. For example, the system of central heating in Yerevan that had “passed away” in the “glorious” days of Ter-Petrosian’s rash liberalism has not yet been restored. Karabakh, once a well-developed industrialized suburb of the Armenian capital now looks like a battlefield with its half-broken buildings with yawning broken windows that previously housed production workshops, robbed during the wild privatization campaign. However, one cannot fail but acknowledge positive changes Robert Kocharian spoke about: in 1997 Armenia’s budget amounted to a mere 300 million dollars, whereas in 2008 its revenues are expected to amount to $2.28 billion with expenditure amounting to $2.5 billion. The sizes of state budgets and GDP of Armenia and Georgia are about the same, even though Georgia is in a much more favourable situation, given bigger territory and population, an access to the sea, and its sizeable revenues thanks to implementing together with Azerbaijan and Turkey joint communications projects. Lavish contributions to the current Tbilisi leadership for its anti-Russian line should not be disregarded either (by the way, one of the accusations Ter-Petrosian’s backers lay on the authorities is Armenia’s isolation from these much touted projects). However, expansion of the Turkish capital into Georgia in mid-term perspective can have quite unexpected consequences affecting its ethnic and confessional situation and stability. Meanwhile to meet its national interests Armenia started implementing its own projects. They include the construction of a natural gas pipeline from Iran to Armenia, potentially with a branch to Europe, and the project of establishing single energy space with Russia, Iran and Georgia, commissioning of a new automobile road crossing the Megri pass in the mountains, plans of installing the second unit of the Metsamor nuclear power station, a petroleum refinery and a railway line from Armenia to Iran. In the times of Ter-Petrosian who cherished the idea of turning Armenia into a “Middle East crossroads “ the like of Lebanon, and who recently stated that the border between Armenia and Iran is effectively non-existent due to the complicated surface geometry of the region, such plans could not be even dreamed of. Peace and stability are required for the implementation of such projects, but given the unyielding stance of Azerbaijan in the issue of Nagorno Karabakh and its rapid militarization, the republic of Nagorno Karabakh in its present-day borders is a significant element of maintaining the balance of forces in the region. Ter-Petrosian’s chances of winning the election are as good as nil. According to serious observers, in reality he can only count on the support of not more than a fraction of several percents of the electorate. His only hope is provoking meetings in the streets, pumping up destructive emotions, provoking dissent in the armed forces and law enforcement agencies and what is more dangerous, fanning parochial sentiment (for example, using the scenario of Aiastan – Karabakh setoff), the distinguishing feature of Ter-Petrosian’s “leadership” (especially in the last period of his presidency). Such event would inevitably throw the country back to late 1980s, the period of general upheaval, revolution-like street meetings that pushed him up to the top of presidential power in 1991. Such upheavals spell no good whatever. Significant effort will be made to dupe the republic‘s citizens. This is an organic component of a possible scenario of the internal political destabilisation. The potential role of the indefatigable minority charged ideologically and amply fed from outside in both organisational and financial terms. In the event anyone else but Ter-Petrosian win the elections Western observers could come up with a bulletproof statement acknowledging their results as illegitimate. For greater persuasiveness some exit-pool results can be presented that would allegedly unequivocally support the “right” candidate. The outer legitimisation of the capture of political authority usually goes hand in hand with a strong information and propaganda pressure, including diplomatic channels (statements of official representatives of the U.S. State Department, PACE and OSCE foreign observers). What will be important at that stage will be the final result, hectic work to fit Armenia into the pro-Western “sanitary cordon” along the borders of Russia and Iran, whereas the actual transparency of the elections and presence or absence of falsifications will have no meaning whatsoever? 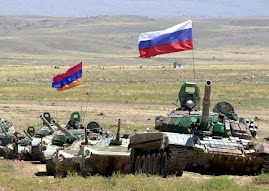 The Russian presence in the Transcaucasia in the wake of the hasty and ill thought-out withdrawal of troops from Georgia as well as the forced Azerbaijan’s western drift (the summit of “the Caspian group of Five” would hardly reverse this process) is safeguarded, first and foremost, by union relations with Armenia and mutually advantageous cooperation with Iran (which still is to take its final shape). Implementation of major economic projects with the Russian participation in this region is hardly feasible due to the absence of Russia’s firm military and political positions. So Moscow is interested in the maintenance of stability in Armenia, continuity of its policies after the presidential elections and the continued presence in power of forces oriented toward consolidation of union relations with Russia. It is in Russia’s interests to back Armenia in this complicated period, promoting the smooth-going inner political processes in that country. Moscow’s clear and unambiguous position in the eventuality of boosted attempts to shake Armenian situation during the pre-election period would by and large be decisive for ensuring stability both in that republic and in the Caucasus. Ever since independence, Armenia’s main asset has been its internal stability. And every external and internal force has threatened to destabilize the country to get its agenda promoted. At every such crisis, brinkmanship has played a role, until sober heads have prevailed to avert a catastrophe. In the aftermath of the February 19 presidential election, those sober heads were not around to be found and the catastrophe took place with unforeseen consequences for long time to come. Indeed Kocharian’s government and opposition leader Levon Ter-Petrossian were at loggerheads, expecting the other party to blink, which was not to happen. At this time, a government-imposed state of emergency has turned into an internal siege for Armenia’s population, while an external siege is being configured by outside forces, unfortunately aided by internal desperate voices. A tremendous amount of damage has already been caused by the loss of human lives, but that is only the beginning in a rapidly deteriorating crisis. As anticipated, Azerbaijan has raised the ante by attacking the Armenian positions in the Martakert region of Karabagh, certainly encouraged and emboldened by the internal turmoil in Armenia. This is a loss of wills across the lines of the ceasefire, and a more dangerous escalation of hostilities may be in the offing, if the war planners in Baku determine that the Armenian government is too weak to retaliate to a major onslaught. While countries, like Azerbaijan, can get away with murder, because of the oil factor or strategic advantage, Western powers are quick to admonish Armenia with impunity, at the first sign of any infraction. And that may have long-term political and economic impact on the country. The chorus of external condemnations has already begun, with a spark from none other than the former president and recently-defeated presidential candidate, Levon Ter Petrossian. Indeed, on March 5, an op-ed article signed by the first president appeared in the Washington Post and subsequently circulated in the news media. Of course, no one would like to see a state of emergency imposed in Armenia, crippling the normal course of life, but Ter Petrossian himself must be the last one to complain about it, since in 1990 he was the one who ordered armored cars to crush the demonstrations, following rigged elections. If his actions were justified at that time, what other alternative was left to the present government to calm the situation? But what is more dangerous is to invite foreign governments to interfere in the internal situation of the country and use their leverage to warn the government against its antidemocratic actions. Besides the political pressures, the most effective ways for the regional or world powers is to use their economic leverage, on which hinges Armenia’s lifeline and the future. The European Union has many grants, but the most significant aid comes from the US through its annual aid package, which is already dwindling from year to year. But what is most dangerous is the Millennium Challenge project, which is contingent upon Armenia’s democratic process and economic reform. That is the most effective weapon in the arsenal of the Bush administration, which is significantly delaying to recognize the election results and congratulate the new president. Ter-Petrossian blames the West for "the deafening silence," all the while criticizing the OSCE observers for approving the election results. He further appeals to the US government by asking a particular action. "What do the people of Armenia expect from the West, and the United States in particular? 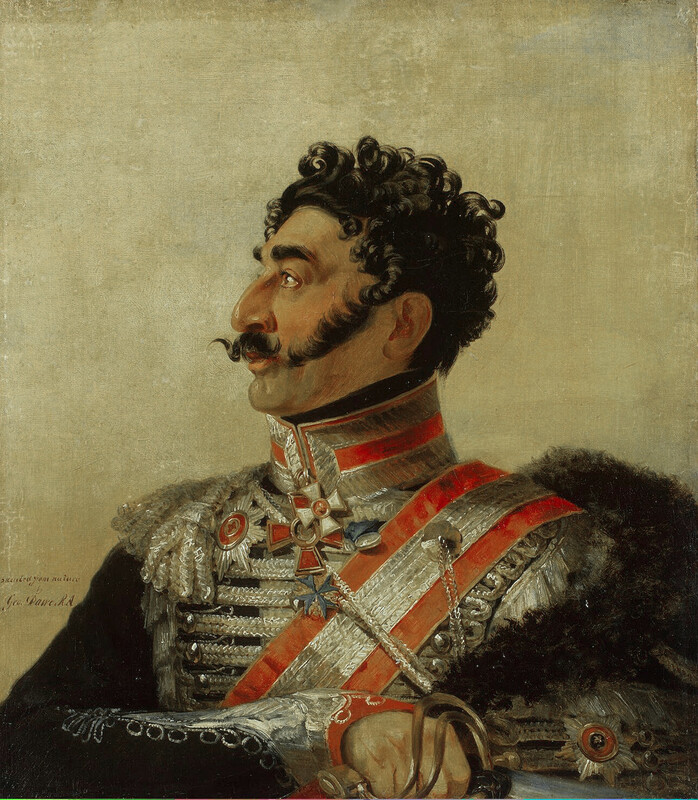 At the very least, we expect a strong and unequivocal condemnation of the violence that occurred on March 1… This condemnation should accompany a sternwarning…" Ter-Petrossian’s popularity is not in question here, nor would any one try to applaud the emergency role. But what is very serious is to appeal to outside forces, which are looking for any pretext to tighten the noose around Armenia and strangulate it economically. The US and Russia have a confrontational posture in the Southern Caucasus and the Cold War era is returning to that region. Armenia’s cordial ties with Russia and economic relations with Iran are not looked upon favorably in Washington, despite the assurances that the US administration "understands" the underlying causes of those relations. When push comes to shove, Armenia’s lobbying power in the US may easily be overrun. Two days later, Ter-Petrossian’s request from the US is echoed in a nasty editorial on March 7, in the New York Times, under the heading "Dark Days in Armenia." It is significant to note that Turkey’s brutal war against the Kurdish minority, which has caused 40,000 deaths has not yet deserved that kind of characterization in the editorial columns of the Times. The Times editorial specifically addresses the most vulnerable aspect of the US-Armenian relations: "Armenia, embroiled in a lengthy standoff with neighboring Azerbaijan, is relatively isolated in its own region and especially values its great relations with the United States," according to the editorial. It then talks about inviting the Bush administration to hit where it hurts most: "the main responsibility lies with Armenia’s government leaders, and it is to them that the White House must address its protests." And of course we know the nature of these "protests;" to deny beleaguered Armenia economic help. The continuation of the crisis is to no one’s advantage and it will damage Armenia irreparably, which had just begun to give signals of economic recovery. The crisis can only be resolved internally by engaging opposing domestic groups. Any outside interference may only further exacerbate the already tense situation and lead nowhere. 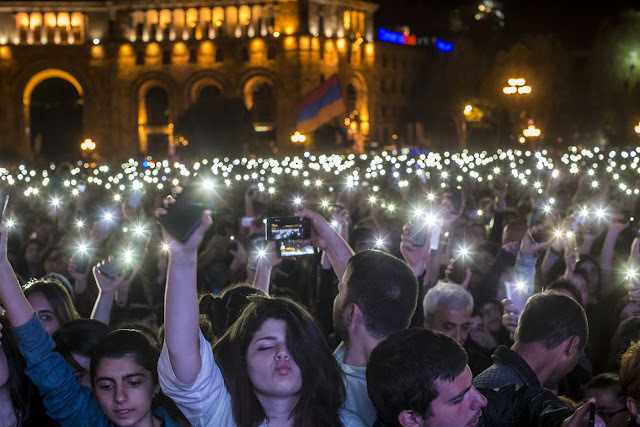 In addition to media orchestration, rallies are being organized on the West Coast to amplify the media furor and to damage Armenia’s standing in the political arena. The protests are mainly organized by expatriates, driven mostly by the guilt feeling of having abandoned the homeland. The same masses of expatriates were vehemently against Ter- Petrossian, when he was in power. It is time to sober up to stop undermining the foundations of Armenia’s statehood and denying its population direly needed economic recovery. Armenians seem to be their worst enemies. Judging by all, L. Ter-Petrosyan is not going to calm down as he is most probably preparing for the second stage of the revolutionary process. In particular, we have information that on May 26 L. Ter-Petrosyan organized a reception in his private residence in honor of some Dmirtry Potekhin. The name doesn't say anything to the Armenian society, but this personality is now perceived as a political lifebuoy for L. Ter-Petrosyan and his proponents. It is as though this Ukrainian young man were going to guide L. Ter-Petrosyan's team, enriching its tactical arsenal. And who is Potekhin and why did the meeting with his participation acquire such a great importance? D. Potekhin is one of the most outstanding ideologists and coordinators of the Ukrainian orange revolution, as well as Head of the so-called European Strategy Group analytical center; he also leads the movement and, together with the leaders of the organization, he was also one of the advisors of the Georgian Kmara organization. That's to say, he is one of the chief players of the Ukrainian orange revolution, as well as one of the leaders of the political group with the help of which Ukraine is now making rapid steps towards integration to NATO. Now he has come to Armenia to instruct L. Ter-Petrosyan how to wash the brains of young people and set up 3-4 youth groups or, as the say, youth movements which should grow like mushrooms after rain. They practically consist of the same people but bear different names, such as Begins, Now, Get up, We, etc. 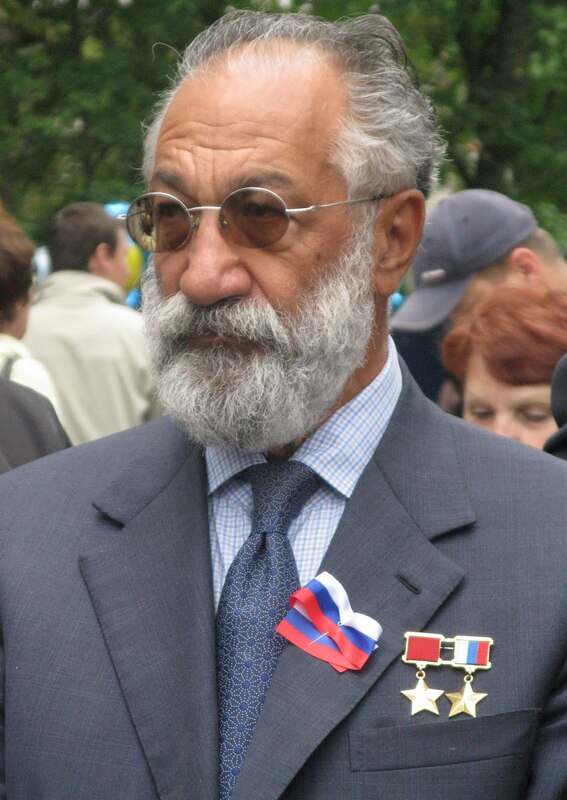 It should be noted that before leaving for the United States (May 10-12, 2008), David Shahnazaryan - L. Ter-Petrosyan's representative, visited Georgia with the purpose of receiving a political orientation, and there, he had a meeting with such key figures of the Georgian revolution as Ilvlian Khaindrava, Nougzar Gogorishvili, Georg- Khoutsishvili, Vakhtang Kolbaya, Arnold Stepanyan and last but not the least, Ukrainian representatives Dmitry Potekhin and his assistant Alexandra Delemenchouk. The meeting took place in one of the local revolutionary headquarters operating under the financial support of Soros foundation. According to available information, the participants of the meeting held in Tbilisi on May 10 made a decision that D. Potekhin and his group should submit to the center of colored revolutions a relevant report on Armenia and receive instructions from there for initiating certain activities in our country. After the meeting, D. Shahnazaryan returned to Armenia and informed L. Ter-Petrosyan of the results. By the instruction of the latter, D. Shahnazaryan put through L. Zourabyan and D. Potekhin with each other. D. Potekhin left Tbilisi for Ukraine and, after submitting relevant reports, instructed him from one of the colored revolution centers of Warsaw to go to Armenia and initiate the process. On May 25, D. Potekhin and his assistant Alexandra Demenchouk left Kiev for Tbilisi and, with the help of Arnold Stepanyan, Head of Multi-National Georgian organization (which receives funding from Soros), got in touch with L. Zourabyan, LTP's representative. 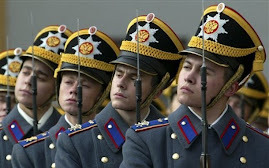 A day later, on May 26, the vanguards arrived in Armenia. According to our information, they first met with L. Zourabyan and Arman Mousinyan and last but not the least, had a meeting in L. Ter-Petrosyan's private residence. On the same day after the confidential meeting, they crossed the Armenian-Georgian border in a car with darkened windows and returned to Tbilisi. The visit bore a strictly practical and pragmatic character. As to what agreements were achieved in the meeting between L. Ter-Petrosyan and D. Potekhin, is unknown even to the people who have the closest ties with the ex-President. However, based on available information, it is possible to have an idea as to what priority Dima Potekhin has established for the Armenian opposition. That's to say, to organize campaigns with the participation of small groups of individuals around issues arousing concern in society, with the purpose of undermining the law enforcement system and the authorities. For instance, the groups consisting of 25-30 people should dress up and hold 3 campaigns: send SMS messages to appoint a meeting near one of the crowded metro stations, dress up like prisoners and chant the following words for an hour, We protest against the President; we feel as though we were prisoners, and our country had turned into a prison, etc. Dressed up in white T-shirts, the same group shall, within the same day, organize an environmental campaign and then, choose another dressing and hold another campaign for increasing the pensions and so on and so forth. This advisory package was partially transferred to L. Ter-Petrosyan's team by the Ukrainian and Georgian teachers back in mid-February and it was immediately put into practice as a basis. After following L. Ter-Petrosyan's activities for two days consecutively, any citizen, especially a journalist, will understand that they are complying with the instructions of their foreign teacher. And such instructions will become more diverse and aggressive in the near future, and their funding will increase thus becoming permanent. This is why one of the godfathers of the Ukrainian orange revolution arrived in Armenia. L. Ter-Petrosyan's team was instructed to set up 70-100 similar groups consisting of 25-30 people. This is only a small part of the instructions of the political technologists. The main series of events is to be organized in the period between June and August, and the result is anticipated in September in the form of a revolutionary situation. Let's also add that right after the meeting L. Zourabyan was sent to Moscow on a two-day unscheduled visit, by the instruction of L. Ter-Petrosyan. According to our information, he had a meeting with the individuals recommended by D. Potekhin; these people are to organize the flow of the required financial resources to Armenia. Analyzing the activities of L. Ter-Petrosyan and his supporters, we can definitely state the following: with the help of L. Ter-Petrosyan, a henchman appointed by the West and the Jewish-Masonic lobby, an attempt is being made to proceed with the colored revolution (which began back in September 2007) in Armenia and achieve a final result with the help of a third country (in this particular case, Ukraine); however, the attempts failed in the first stage of the struggle. We can definitely say it will fail at the second stage as well, but everybody will suffer losses during the whole process, and the country will, for some period of time, incur the damages caused by the colored revolutions. On November 16 the Turkish newspaper "Milliet" published an article entitled "Turkey Became an Apple of Discord in Armenia". The article needs no comment, therefore we represent the abridged translation of it. "The suggestion of ex-President of Armenia Levon Ter-Petrosian about establishing and developing economic relations with Ankara has now caused a great debate in Armenia about Turkey. Suggestion of the candidacy of Levon Ter-Petrosian, who was displaced in result of political change organized by the present authorities of Armenia, broke the fragile balance of political forces in Armenia. According to Armenian and Russian sources, during a meeting with the Armenian youth Ter-Petrosian said that in normal circumstances Armenia’s neighbors, Azerbaijan and Turkey, were to become it’s main economic partners. The Armenian leader also assured that in case of establishing normal economic relations with Azerbaijan in Turkey, Armenia’s import, making $3 million at present, might grow up to $15 million. Ter-Petrosian’s call to develop the relations with Turkey, which was the only in the last 10 years in Armenia, met the severe opposition and the stern stance of Robert Kocharian. Kocharian said he was surprised that there are politicians in Armenia who think that Azerbaijan and Turkey may become the partners of Armenia. ‘I never thought Armenia could be embraced in Turkey’s lap. If there’s anybody else, who thinks likewise, let them join,’ added the President of Armenia. The main candidate of the Republican Party of Armenia for the presidential elections, Prime Minister Serge Sarkisian condemned Ter-Petrosian with the following words, ‘Ter-Petrosian who brought the nation to the brink of despair ruining the economy of our country, must beg the pardon of the Armenian people.’ Sarkisian added that in case of being elected he will not suffer Turkey and Azerbaijan to dictate Armenia their own conditions." The advocates of nationalistic ideas turned down Ter-Petrosian at the very moment when he was preparing to sign a peace agreement with Azerbaijan about the occupied territories. Another reason for displacing Ter-Petrosian was his desire to establish friendly relations with Turkey." In the end of the article "Milliet" represented the brief biography of Levon Ter-Petrosian and noted that he speaks 10 foreign languages, including Turkish. The daily Milliyet of February 3, 1995, reported that Armenian President Ter-Petrossian had a meeting with the neo-fascist Turkish leader Alparslan Türkes for the normalisation of the relations between Turkey and Armenia. Two days later, MHP chairman Türkes confirmed that he met with Ter-Petrossian in 1993 following a request by the Armenian lobby in France. Indicating that he had informed the prime minister and foreign minister of Turkey at the time that a meeting was planned between himself and Ter-Petrossian, Türkes said that the Turkish ambassador and counsellor were also at the meeting which was aimed at trying to see if the war between Armenia and Azerbaijan could be stopped. He added that another aim of the meeting was to explore the possibilities for developing friendly ties between Armenia and Turkey. The daily Cumhuriyet of February 5 reported that a second meeting between Türkes and Ter-Petrossian was held in 1994 in Germany. Since Türkes is known as one of the most ardent enemies of Armenians who is still using the word "Armenian" as an insult against left-wing or Kurdish activists, this meeting caused a big confusion as well in Armenia as in Armenian Diaspora. Besides, Türkes had played an important role in the rising ultra-nationalist and anti-Armenian currents in Azerbaijan after the collapse of the Soviet Union. Türkes' many notorious "Grey Wolves" had been placed by the former President Elcibey to key posts in Azerbaijan administrative and military establishment. According to the press reports, as the Armenian Diaspora is preparing spectacular commemorations on the occasion of the 80th anniversary of the genocide of which were victims more than 1.5 millions Armenians during the First World War, Ter-Petrossian seems ready to set aside the genocide for normalising relations with Turkey. Although similar commemoration demonstrations are being prepared in Yerevan, Ter-Petrossian's private adviser Jirair Libaridian reportedly said that he hoped the "historical reality" of genocide would not prevent the improvement of bilateral ties. In the meantime, the Armenian newspaper Gamk of February 27 reported that Armenian Education Minister Achot Bleyan ordered announced the interdiction of the education on Armenian genocide in the nursery, primary and secondary schools of Armenia. This gesture and the closure of the nationalist Dashnak Party in Armenia is considered by Ankara as another sign of Ter-Petrossian's will to normalise relations with Turkey. Recently, Libaridian had a series of talks with Turkish officials in Ankara on February 24-25. The Turkish side told Libaridian that to defuse tension in Yerevan's ties with Ankara, Armenians should pull out from the occupied Azeri lands — excluding the disputed enclave of Nagorno-Karabakh — and drop their rejection of Turkish participation in a planned peace-keeping force for Karabakh. During the talks, two sides also discussed "potential economic cooperation, including border trade and the passage of Azeri oil pipeline to Turkey through Armenian territory" in the event of normalized bilateral ties." Levon Hakob Ter-Petrosyan or Levon Frayim Pliskovsky? The information that the Ter-Petrosyan-led movement was funded and governed from abroad is gradually becoming more precise and argumented. The fact that Mr. Ter-Petrosyan has ties with Masonic as well as powerful Jewish political and economic organizations and has constantly been under their influence did not seem convincing to some people. However, the analysis of his political activity of the past 6 months directly confirms the above mentioned. First, in the estimation of well-informed people, the atmosphere of masonry (its first precondition being the denial of national values) and cosmopolitism has become essentially overwhelming in the ex-President’s family and his surroundings, especially during the recent years. And this has been achieved due to the efforts of L. Ter-Petrosyan’s wife. That Mr. Ter-Petrosyan’s wife is a Jew has been published in the press many a time. However, we recently managed to find out the real names of Mrs. Ter-Petrosyan and her family members. Her father’s name is Pliskovsky Frayim Abramovich, and here mother’s name is Kourtach Brakha Ibramovna and before marriage, Ms. Lyudmila’s full name was Pliskovsaya Lyudmila Frayimovna. Having grown up in the influential and rich community of the Jews. Lyudmila Ter-Petrosyan has been consistent enough in her efforts of spreading her influence on L. Ter-Petrosyan, his son and his family members. And here is an interesting fact: after resigning from office, L. Ter-Petorsyan never visited any marz of the country apart from Vayots Dzor. After he and his wife paid several visits to the cemetery of the Jews (situated near the village of Yeghegis), they decided to have it renovated and reconstructed. What’s more, L. Ter-Petrosyan promised the Jewish community that right after being elected a President in 2008 he would deal with the reconstruction of the cemetery in person. 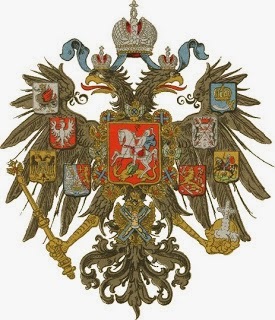 By involving Lyudmila Ter-Petrosyan in the leadership of their infra-structures, the Masonic organizations of the United States, the Russian Federation, Europe and the Near East managed to maintain permanent and reliable ties with Levon Ter-Petrosyan and offer him assistance. When the Jewish flag was waved on the Theatrical Square during his pre-election meetings, nobody paid a special attention to that. However, the developments following the March 1 incidents make us conduct a more thorough analysis as to why the “liberation movement” was best elucidated especially by those American and Russian media which are under the influence of the Jewish lobby. There were a number of noteworthy facts revealed in the course of the journalistic investigation. Once we already informed you that the principal goal of L. Ter-Petrosyan’s one-day visit to Moscow (mid-January, 2008) was the meeting with the Vice Chair of the RF right-wing forces Leonid Gozman, a Jew by nationality. Mr. Gozman is also the leader of the St. Petersburg branch as well as one of the entrusted individuals of Alexander Tchoubays, Head of the Russian Energy Systems. Why do you think L. Ter-Petorsyan had a strictly confidential meeting and a tête-à-tête with Leonid Gozman for 6-7 hours? Let’s also note that L. Gozman and the “Holding” he leads have unlimited political and economic resources; their financial-economic balance and annual circulation make up tens of billions of dollars. Spending a sum of USD 100-200 million for assisting L. Ter-Petorsyan in the Armenian elections was not a great difficulty for this particular structure (which also coordinates the programs of their American and European partners in the CIS countries). This is the agreement Leonid Gozman and Levon Ter-Petorsyan concluded in January 2008, in a confidential meeting held in Mr. Gozman’s private residence in the vicinities of Moscow. L. Ter-Petorsyan’s electoral campaign was to start in a couple of days’ time, and the sums arrived in time. They entered Armenia through different organizations and were invested in the political process. The Jewish-Masonic lobby spent USD 65-70 million on L. Ter-Petrosyan’s campaign, and it’s going to spend twice more for achieving its principal-goal, i.e. bringing L. Ter-Petorsyan to power. Those sums enter Armenia through different public organizations, natural persons and artificially created enterprises and are mainly transferred to the closed accounts of “Armeconombank”. The sums are also periodically given to the emissaries who are sent abroad on mission by Levon Ter-Petrosyan. Then, through different banks, these people transfer the money to Armenia. Why did the representatives of “Great East”, a powerful organization with unlimited financial and political resources, arrive in Armenia in mid-January? What were they planning and agreeing upon with Hovhannes Igityan, an activist standing close to L. Ter-Petorsyan? Why did the influential Masonic organization operating in the countries of the Near East conduct a series of two-week closed meetings with Hovhannes Igityan, who thereafter started meeting with L. Ter-Petrosyan almost every day? How come that just within a couple of hours on the night of March 2 H. Igityan rapidly left Armenia with the help of large sums and different individuals and found himself in France and then left for Strasburg and Brussels? How come that Hovhannes Igityan, who was only the Head L. Ter-Petorsyan’s campaign headquarters in Avan district, has had meetings with senior officials in Europe and beginning March 10, has been conducting lobbying among the Parliamentarians of the Council of Europe, representing Armenia exclusively in dark colors? He gave misinformation to CoE Secretary General Terry Davis, Head of PACE Rene van der Linden and different European media representatives and experts who were preparing for the PACE April 17 hearings devoted to Armenia. Furthermore, the Jewish-Masonic lobby is currently using the same aggressiveness to have the Council of Europe deprive the Armenian delegation of the right to vote. Under whose auspices did H. Igityan implement those “activities”? Of course, through his connections with the Masonic “Great East” organization. As to the details of the process, L. Ter-Petrosyan is fully aware of them. H. Igityan kept in touch with him from Europe on daily basis. It will be extremely interesting to ask L. Ter-Petrosyan why the members of the Jewish-American Committee (the second largest Jewish lobbying organization in the United States and Europe) are arriving in Armenia on May 27-28? It should be noted that those arriving in Armenia are not ordinary members of the organization but rather, its leaders, i.e. Peter Rosenblat, Barry Jabes and John Waters, as well as American-Armenian translator Ross Vardanyan who will accompany them. If L. Ter-Petrosyan expresses exhaustive and satisfactory attitude towards those issues, the political and financial assistance will be undoubtedly continued, and the US-RF segment of the Jewish chain will open a “second respiratory tract” for L. Ter-Petorsyan’s political activity. Economic was on the agenda but politics was on the public mind when Russia’s Prime Minister Victor Zubkov visited his Armenian counterpart Serzh Sargsyan in Yerevan starting Tuesday. For the second time since official campaigning for the February 19 presidential election began, a high-ranking Russian official has visited the Prime Minister in a show of support for Sargsyan as Armenia’s next Head of State. On the second and last day of his visit, Wednesday, Zubkov spoke of expanding economic and trade ties between the two states. “Russia continues to remain Armenia’s chief trade and economic partner. The trade turnover [between Armenia and Russia] shows considerable growth from year to year and we hope that in the near future the trade between the two countries will reach $1 billion [a year],” Zubkov said, adding that trade between the two nations showed a 60 percent increase to reach $700 million during 2007. Armenia’s prime minister also positively assessed the level of economic cooperation between the two countries. “The current state of Armenian-Russian relations satisfies both sides. 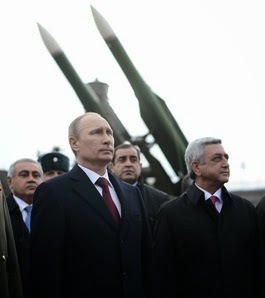 But these relations need constant attention, we intend to deepen them in the future,” Sargsyan said. On January 28, Russian State Duma Speaker Boriz Gryzlov paid a visit to Armenia. As the leader of Russia’s ruling United Russia party, Gryzlov then signed cooperation deals with Armenia’s governing coalition members – the Sargsyan-led Republican Party and the Prosperous Armenia party. Both Gryzlov and Zubkov, however, stopped short of overtly declaring the Kremlin’s endorsement for Armenia’s incumbent. While Armenian media were more restrained in giving evaluations to the visit of the second senior Russian statesmen to Armenia in the pre-election period, the Russian press overtly described it as “promotional”. Russia signaled on Tuesday its opposition to regime change in Yerevan, with Foreign Minister Sergey Lavrov pointedly declining to deny speculation that Moscow supports Defense Minister Serzh Sarkisian’s apparent plans to become Armenia’s next president. Lavrov, in Yerevan on a two-day official visit, stressed the need for continuity in policies pursued by the current Armenian leadership. During a joint news conference with Foreign Minister Vartan Oskanian he was asked to comment on growing assertions by Russian media and prominent analysts that the widely anticipated handover of power from President Robert Kocharian to Sarkisian suits the Kremlin. Kocharian is thought to have enjoyed Russian backing throughout his nearly decade-long presidency. Both he and Sarkisian stand for Armenia’s continued military alliance with Russia, while seeking closer security ties with the West. The Kocharian administration has also helped to significantly boosted Russia’s economic presence in the country in recent years. The Russian minister’s visit to Armenia was officially dedicated to the 15th anniversary of the establishment of diplomatic relations between the two former Soviet republics. The unresolved Nagorno-Karabakh conflict was high on the agenda of his talks with Oskanian. Russia co-heads the Minsk Group of the Organization for Security and Cooperation in Europe together with the United States and France. During his meetings with officials in Armenia, including with President Robert Kocharyan and Parliament Speaker Tigran Torosyan, Gryzlov, whose party is the main support base of Russia’s outgoing President Vladimir Putin and his likely successor Dmitry Medvedev, did not speak overtly about preferences for the February 19 presidential election in Armenia. But MP and Prosperous Armenia Party member Naira Zohrabyan told ArmeniaNow that Gryzlov’s visit in the middle of the campaign and United Russia’s agreement with the Armenian coalition parties in itself implies that “Russia is eager to see the continuity of government in Armenia.” However, another member of the party, Aram Safaryan, told ArmeniaNow that the agreement is not connected with the presidential race in Armenia and that preparations for the document had been made for the past 10 months. Speaking about the development of Armenian-Russian relations, Kocharyan expressed his satisfaction with the bilateral economic ties which, he said, have become “the motive force of Armenian-Russian cooperation, as a result of which Russian capital has been involved in numerous sectors of Armenia’s economy.” Kocharyan, in particular, emphasized the “dynamically developing” activities in such spheres as energy and transport. Gryzlov’s visit to Armenia is his first official visit to a foreign country in the capacity of Speaker of the newly elected State Duma. During one of his previous visits to Armenia in late 2004, Gryzlov stated, to controversial reaction, that “Armenia is Russia’s outpost in the South Caucasus”. Yerevan, Armenia. I have been criticizing this government and predicting such an outcome during recent years. And, by the way, where was Levon Ter Petrossian all this time and why didn't he raise his voice against any injustice during these long 10 years?! I've been warning about the imminent breakup of the seeming stability again and again in my books, articles and interviews published in Armenian, Russian and English for the last decade. Moreover, they've been read by some of the highest representatives of the current establishment. I had a couple of chances to even personally discuss with some of them the criticality of the situation. They did not agree that the situation is as bad as I depicted it and were disturbed and irritated. All of my efforts to bring them back to reality have just resulted not only in my further isolation from the centers of decision-making, but also in attempts to silence and marginalize me. Though they've not succeeded, I'm extremely frustrated that all my work has been almost in vain. On February 19, Armenia entered into a completely new and unfavorable phase; the day "X" I was talking about in my "Strategic Gaps" has already arrived. However, Ter Petrossian and his team did not come "to right the wrongs," but just to exacerbate the situation to the edge. I'm a first-hand eyewitness of these recent events. The major clashes happened just 300 feet from my home and I've been hearing and watching everything from the beginning to the end. That day, Ter Petrossian and his team brought Armenia to the very brink of DISASTER. No one can prove to me that it was the police who instigated the clashes. 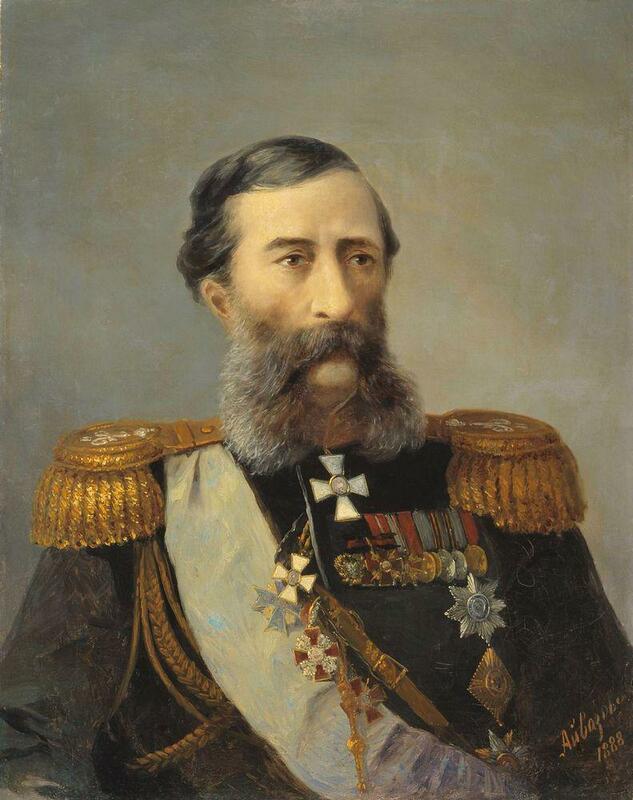 It was not just a coup attempt, it was a cold-blooded attempt by Ter Petrossian & Co. to instigate a civil war! Ter Petrossian and his team are an immediate and overwhelming national security threat! Please look at the bigger picture, look at the world powers waging Cold War IN ARMENIA, look at the map again and follow the news about the Azerbaijan's movements and all the preparations to start a war. What if Aliyev starts it now? What would we have? A divided Armenia and a divided Diaspora! Who has pushed the situation so far? Of course, the government has to be blamed for all the corruption and its woeful methods and low level of governance. 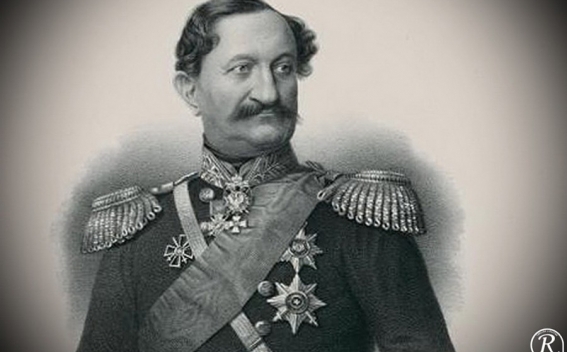 But Ter Petrossian has clearly and cold-bloodedly targeted the national unity of Armenians! He clearly and cold-bloodedly played on the hayastantzi-gharabaghtzi artificial divide! He and his team clearly and cold-bloodedly instigated the mob to fire and throw grenades on Armenian soldiers. My street was under the occupation of "revolutionaries" for about 7 hours. They were shouting at us: "come down, join us -- this is an uprising!" They were calling the Armenian soldiers to join them and fire on other Armenian soldiers. Now who can tell me about the facts better? Do you understand what was in stake? And what if just one battalion, or even a platoon joined this uprising? 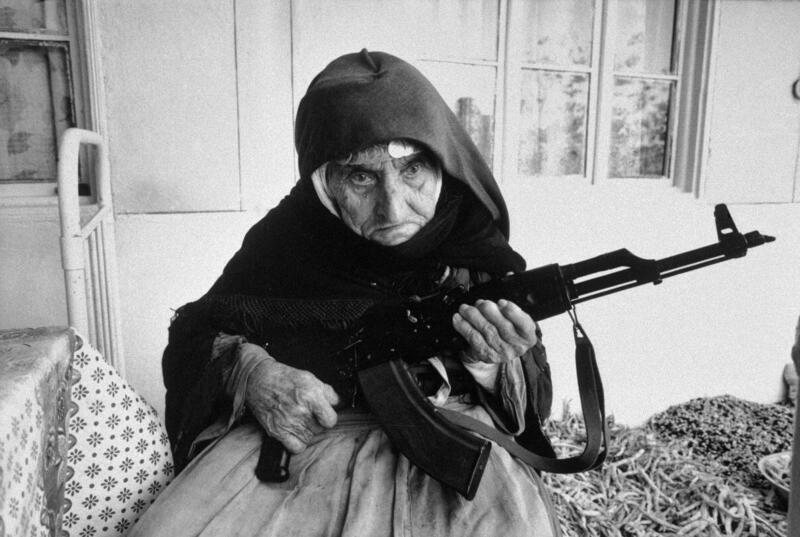 We would have ended up in a real bloody civil war with hundreds killed and mutilated and perhaps Artsakh and Syunik overrun by the enemy! What was Ter Petrossian's sick mind thinking at that time? I need neither to watch Armenian TV for the official version of events nor to read and listen about the ridiculous false versions now being circulated in the web by Ter Petrossian's supporters. Please remember that Armenia is your only Homeland, irrespective of the government. Please do not alienate either yourselves or the diasporans from the homeland. Do not alienate yourselves from other Armenians. After reading my article, my dear friend from Canada has labeled me "a traitor of the nation"! Doesn't this remind you of good old 1937? Just one result of the Ter Petrossian's comeback into the big politics with his neo-bolshevik ideas: "Who is not with us, is against us"! But we are a small endangered nation with an endangered HOMELAND! The situation is extremely difficult and there is no easy way out of it. The solution that is most often being offered -- the resignation of Serj Sargsyan and new elections is not a solution. We simply cannot afford months and years of additional turmoil. Armenian Foreign Minister Alexander Arzoumanian said on Wednesday a preliminary peace accord to end 10 years of conflict and tension with Azerbaijan might be reached by the end of the year. "We are hopeful. We hope we can have some kind of breakthrough before mid-December," Arzoumanian told Reuters. Levon Ter-Petrosyan–bowing to international pressure–reversed years of policy earlier this year–saying his country would have to compromise and neither independence nor union with Armenia were realistic for Karabakh. Both Armenia and Azerbaijan have now accepted a framework for resolving the conflict which would guarantee Azerbaijan’s retaining of Karabakh while giving the region autonomy and de-facto independence. Arzoumanian acknowledged Nagorno-Karabakh’s opposition but said intensive consultations were under way between Yerevan and Karabakh to find a mutually acceptable formula. "During the last 10 days we have held very intensive consultations with them. I think the Karabakh leaders have some legitimate concerns. They would like to have real security guarantees," said Arzoumanian. "We should now look for a way to put these two principles together – the territorial integrity of Azerbaijan and self determination (for Karabakh). We can achieve some kind of de facto independence for Nagorno-Karabakh and de jure Nagorno- Karabakh is part of Azerbaijan." Azerbaijan has signed billions of dollars in lucrative Caspian Sea oil contracts with foreign firms and Arzoumanian said the Azeris were successfully converting the economic clout into political influence abroad. "Azerbaijan has played this oil card very skillfully. They link the oil contracts with the resolution of Nagorno-Karabakh." Arzoumanian said organizations like the International Monetary Fund and the World Bank–upon which Armenia relies heavily to ensure fragile economic stability–were likely to turn up the heat if there was no Karabakh agreement. "They can create some problems for us…They can vote against us or postpone loans for a couple of months. For Armenia a one month delay can be catastrophic. Obviously this is what is going to happen," he said. Serzh Sargsyan, Armenia's Prime Minister, leads the race of presidential campaign in Armenia, says Andrew Cooper, directors of British "Populus" polling company. According to the "Populus" data, 50.7% of the Armenian adults would vote for him, if the elections were to take place tomorrow. Sargsyan leads with a strong gap. According to the same data, Arthur Baghdasaryan, from the "Orinats Yerkir" opposition party is the second, with 13.4%. Levon Ter-Petrosyan, the former president of Armenia is the third (12.6%). Results for 6 other candidates are below 10%. Today was the last day for the presidential nominees to withdraw their candidacies. According to the Central Electoral Committee, all 9 candidates continue their presidential race. Poll shows, that since last year, Armenian voters have become more hopeful about the future – for the country and for them – and increasingly think Armenia is moving in the right direction. The number of optimists increased for 10%, since April 2007 (form 43% to 53%). Nationally representative survey conducted between January 21st - 29th 2008. 1,500 Armenian adults interviewed face-to-face, yielding data with a margin of error of 2.6% (at 95% confidence). The poll was commissioned by Armenia Public TV & Radio. Populus is one of Britain's leading polling companies, with a strong record of accuracy in election polls. At the last UK election, Populus had an average error of just 0.25%. Populus conducts voting polls for a wide range of high profile clients, including BBC, The Times, Conservatives, Labour, and Liberal- Democrats. Armenian prime minister Serge Sarkisian could become the country’s next president, according to a poll by the Armenian Sociological Association. 31.9 per cent of respondents would vote for Sarkisian in next year’s ballot. Gagik Tsarukyan—an independent politician and one of Armenia’s wealthiest men—is a distant second with 12 per cent, followed by National Assembly chairman Artur Baghdasaryan with 11.2 per cent, and former president Levon Ter Petrossian with 3.8 per cent. Armenian president Robert Kocharyan was re-elected to a new four-year term in March 2003 in an election marred by fraud allegations. The next presidential election is scheduled for Feb. 19, 2008. On Apr. 4, Sarkisian became Armenia’s new prime minister following the death of Andranik Markarian. 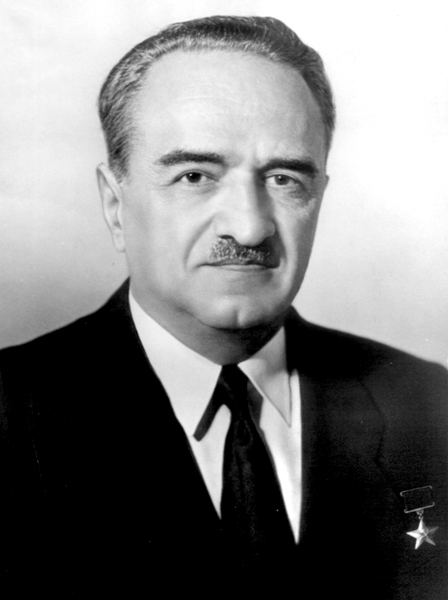 The Republican Party of Armenia (HHK) was headed by Markarian until his death, and is now primarily led by Sarkisian. In May, Armenian voters renewed the 131-member National Assembly. Final results gave the HHK 32.82 per cent of the vote and 64 seats, making it the strongest party in the legislature. On that same month, Sarkisian said he would seek the presidency next year, declaring, "The elections showed that our party got a serious vote of confidence, and if the party decides so, I will definitely run." On Oct. 1, Rule of Law (OY) party member Artashes Avoyan announced that Baghdasaryan would be their presidential candidate. Avoyan said the choice was made due to Baghdasaryan’s "high approval rating." Who would you vote for in the presidential election? Source: Armenian Sociological Association. Methodology: Face-to-face interviews with 1,000 Armenian adults, conducted in October 2007. Margin of error is 2.2 per cent. The United States has abandoned plans to sponsor a first-ever exit poll in Armenia in the face of serious opposition misgivings about the objectivity of public opinion surveys already conducted with U.S. funding. The U.S. Embassy in Yerevan and the U.S. Agency for International Development (USAID) offered to finance and organize such a poll as part of their efforts to contribute to the freedom and fairness of next month’s Armenian presidential election. Prime Minister Serzh Sarkisian welcomed the idea at an early December meeting with Joseph Pennington, the U.S. charge d’affaires. However, Sarkisian’s main election challengers have been far more skeptical about its positive impact on the integrity of the electoral process. Specifically, they object to the Americans’ reliance on the Armenian Sociological Association, a polling organization reputed to be close to the government. The ASA has done the crucial fieldwork for an ongoing series of U.S.-funded opinion polls on a wide range of issues of interest to Armenians. The election-related results of those polls, nominally conducted by a Lithuanian branch of the U.S. Gallup Organization, have given Sarkisian a big lead over the other major presidential candidates. The latter, citing the ASA’s involvement in the process, have rejected the polling data as fraudulent. Their campaign managers made it clear late last month that they will not consider the planned exit poll trustworthy if it is conducted in the same format. They said the poll will be objective only if Gallup avoids dealing with any of the Armenian polling organizations. In a statement on Friday, the U.S. Embassy implied that the opposition objections were a major reason why it decided to cancel the project. A very sobering look back. One difference between Hovannisian and Ter-Petrosyan I see worth noting is that unlike Ter-Petrosyan, Hovannisian to his own credit has not invoked any noticeable anti-Artsakh sentiment to incite his followers. A slight improvement among the otherwise worthless scum that constitute the Armenian "opposition". Of course it is hard to tell whether this is because Hovannisian is slightly more principled than Ter-Petrosyan, or if the Armenian and Russian security services made it clear to him at the outset in no uncertain terms that if Hovannisian tried to play the anti-Artsakh card on the Gypsy sement of Yerevan's population again then he and his family would be immediately terminated. That and Hovannisian looks more he's of Shepardic blood mixed with pure African or Hispanic, while Ter-Petrosyan looks, behaves and dances more like he is of highly inbred Ashkenazic stock. Dont take this the wrong way but I think its more important to read and understand the articles in this blog than your commentary. No offense taken, because I happen to agree with you. repair ties between the two former allies. who called it a "hateful attack" on Jews. carrying aid to Palestinians in Gaza, under a naval blockade. (Erdogan's) statement about Zionism and its comparison to Nazism." passed into history," Netanyahu was quoted as saying. the Turkish government," he added. 17,000 Jews live in Turkey, a country of 76 million people. Let's see how quickly leaders of Diasporan organizations and political parties, and especially Diasporan academics and mainstream journalists fall all over themselves in "praising" our fair-weathered jew "friends". I can already see the comments in Asbarez "the jews are closer than ever to recognizing the Genocide! Damn that evil Serj, his desire to 'be friends' with Iran is what's really holding us back! Time to March for Democrazy in Yerevan and Glendale". That was an excellent analysis. The facts are clear for everyone to see, it's too bad so many Armenians are being actively deceived. The article reminded me of one thing that really makes me angry, and that is when the west preaches to Armenia about "anti-semetism". A few years ago the CIA-run "independant news agency" Armenianow.com was running weekly stories on "anti-semetism in Armenia", a country with less than a thousand jews. No mention of the "Yeshiva" jewish-supremacists regularly spitting at Armenian priests in occupied Jerusalem. I wrote a draft of a few laws I think are necessary to improve the social and political situation in Armenia. Number 3 includes a rejection of biased foreign "assessments and rankings" of Armenia, including the US State Department's shameful "annual antisemetism report". PS if you want to get an idea of how hopeless most Armenians are, read the comments on the pages following that post and see how militant some Armenians get in being apologists for the jews. Good job. We need to get this kind of information out to the public. You may have noticed an increase in visitors; I sent a link to your blog to some individuals on my mailing list. PS: Is your blog's comments sections working? Thank you Arevordi. The comments section was not enabled after all. But all I wanted to do was get the information out and read, and you helped me do that. Thank you. And thank you Sarkis for the kind words. my apologies for bothering you with this, but it has already happened to me several times that I've seen a new article from you show up in my Google Reader only to be unable to find it on your blog, as if it never existed (the most recent instance being 'As Eurasian Union nears Armenia, West goes into panic mode - December, 2012') - which is a great shame. Do you perchance have any idea what might be wrong? Thank you very much and have a lovely week. It could be a problem with the settings function, either mine or yours. You can also ways use the search box to locate older commentaries in this blog, or simply use the "Older Posts" link at the bottom right of every page to go back in time. Thank you very much, I found it now. Commandos: "Raffi and his team are well aware of what they are doing." Former candidate for presidency, the leader of "Heritage" party Raffi Hovhannisyan contines his hunger strike at Liberty Square in Yerevan. Hovannisian is periodically visited by his allies, party friends, politicians and cultural figures. Political developments in Armenia brought into the political arena representatives almost of all shperes, all were quick to express their opinion about the events unfolding in Armenia. Lurer.com talked to Artsakh war hero, Major General Arkady Ter-Tadevosyan (Commandos). Ter-Tadevosyan said he did not wish to comment on the created political situation, to assess, since the estimates are given by those who are well-informed in this area. He also did not want to comment on his friends' actions. "Raffi and his team are well aware of what they are doing. Both on this side, and on the other are my friends, I do not want to say anything to anyone", Commandos said. Arkady Ter-Tadevosyan wished only peace and a peaceful outcome in the created political situation. A relative from Yerevan just told me that Raffi's protests are affecting on the people's jobs. People don't go to work, they don't go to shops, others don't go out and are cautious of going many places. Less trade, less buying means less income for shops. Even some Raffi supporters are starting to see the uselessness. P.P.S. This is Svetia, I'm using a Google/Blogger account from now on. SO? where are you comments now genius ???? you did not expect to see this in Armenia did you ???? the country is for the people not any politician not Europe's , not America's not even Russia's....Choke on that.